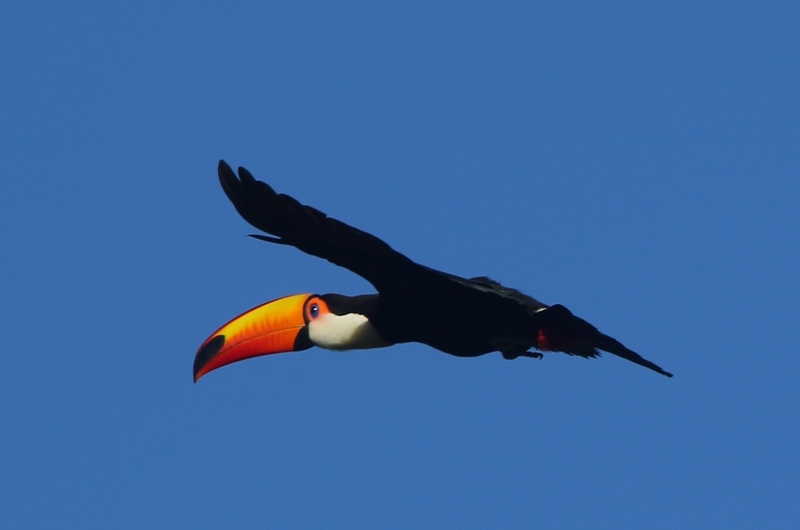 We can offer you a range of tours to the Pantanal, Serra das Araras and Chapada dos Guimareas National Park, all within easy reach of Cuiaba. We use only the best guides that have years of experience and guiding within this area. The itinerary below is a suggested itinerary that covers all three of these great birding hotspots. 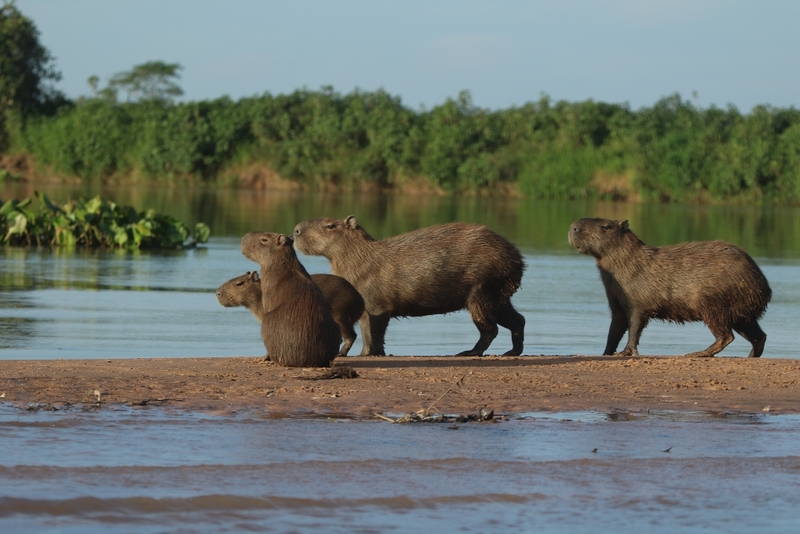 If you require a tailor made itinerary for the Pantanal and adjacent areas then just let us know and we will happily put this together for you. 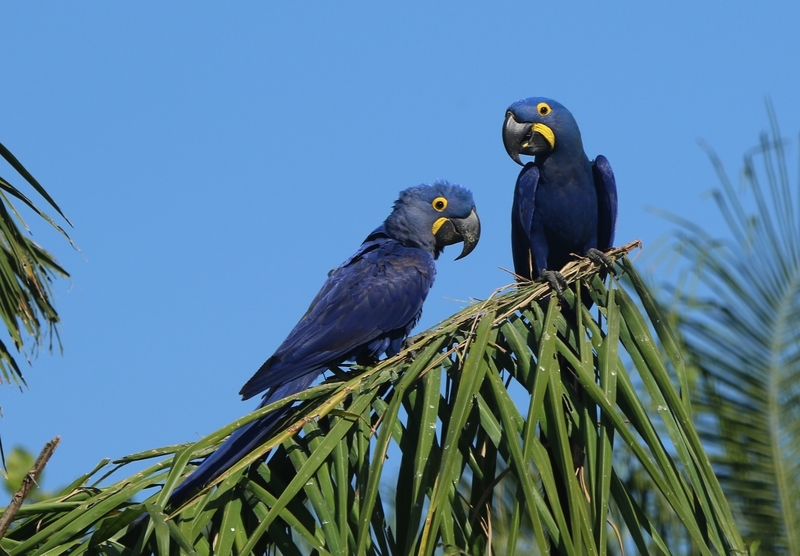 The Pantanal offers any birder or wildlife enthusiast the perfect combination of great birding and mammal spotting opportunities! The habitat is “birder friendly” as it’s relatively open which makes birding slightly easier and a little more relaxing. It is one of the best places in the world to see the endangered and stunning Hyacinth Macaw, 100’s of Jabiru Storks, Maguari Storks, Wood Storks, herons and ibisis, waterfowl and literally 1000’s of caimans, this together with excellent chances of seeing Jaguar, fantastic photographic opportunities and spectacular scenery makes a birding trip to the Pantanal a must! We will spend 7 days within the worlds largest freshwater wetland, that covers approximately 195.000 km². 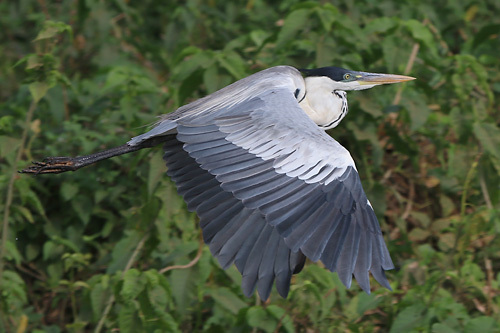 During this time we shall travel all the way to the end of the famous Transpantaneira dirt road (145km), well known for its amazing birds and wildlife. 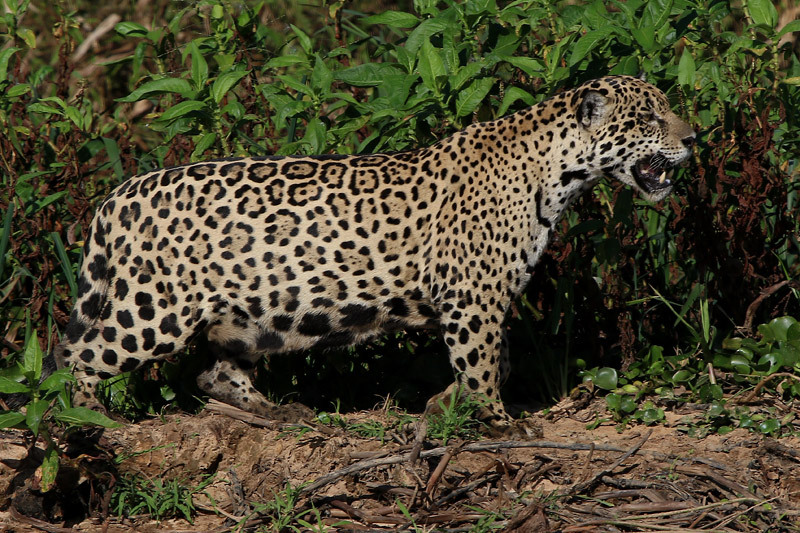 Once at the end of the Transpantaneira road we will spend the last 3 days based at the Hotel Porto Jofre where we will take daily boat trips looking for various species of birds and our main mammal target, South Americas largest cat.. the mighty Jaguar! We then move onto the 80,000 acre Chapada dos Guimaraes National Park for a further 2 nights, this Cerrado habitat (seasonally dry woodland and scrub) will provide us with a change of habitat, more stunning scenery and further opportunities for a whole host of new bird species. After arrival into the Cuiaba International airport we will meet our local guide and then set off to our first destination of Serra das Araras. We will check into our accommodation and swiftly begin our birding adventure! The habitat in this particular region is very interesting as it is the transition between the Cerrado habitat and the imposing Amazon rainforest. 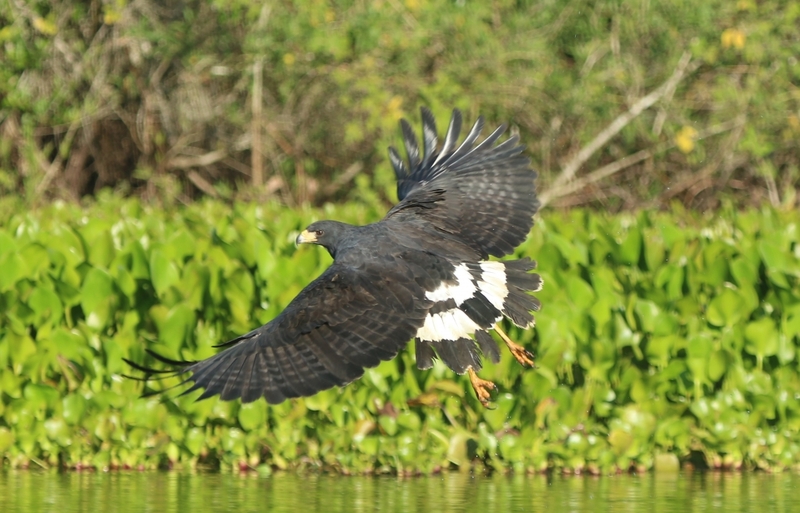 The highlight at Serra das Araras should be the magnificent Harpy Eagle, even if they do not have an active nest, there is till a very good chance of seeing this bird. We will also be on the look out for Gray Hawk, Yellow-tufted Woodpecker, Dusky-headed Parakeet (an isolated population! ), Red-shouldered Macaw, Warbling Antbird and Magpie Tanager amongst others. After sunset we will spend some time searching for Tawny-bellied Screech-Owl, Ocellated Porwill and Black-banded Owl. We shall return to the lodge for dinner and complete our first checklist of the trip! After an early breakfast we shall spend some more time in the vicinity of the Harpy Eagle nest and searching for various other species, we will then check out of our accommodation and begin our journey towards the famous Transpantaneira Road and into the vast Pantanal floodplain, with lunch en-route. We will be moving at a slow pace and making several stops to watch many species together with the chance for some great photographic opportunities. We will arrive at our accommodation and hope to see species such as the stunning Hyacinth Macaw, Jabiru, Roseate Spoonbill, American Wood Stork, Great Rufous Woodcreeper, Straight-billed Woodcreeper, Narrow-billed Woodcreeper, Undulated Tinamou, Glittering-throated Emerald, Black-fronted Nunbird, Bat Falcon, Black-bellied Antwren, Planalto Slaty Antshrike, Saffron-billed Sparrow and Blue-crowned Trogon. We will start the day with an early breakfast and take a motor boat ride along the Pixaim River. Target birds for today include White Woodpecker, Green-barred Woodpecker, Crested Oropendola, Blue-fronted Parrot, Buff-necked Ibis, Plumbeos Ibis, Scarlet-headed Blackbird, Rusty-collared Seedeater, Black-capped Donacobius, Golden-collared Macaws, Lineated Woodpecker, Crimson-crested Woodpecker, Maguari Stork, Laughing Falcon, Whistling Heron, White-faced Whistling Duck, Black-bellied Whistling Duck, Muscovy Duck, Bare-faced Curassow, Blue-throated Piping-Guan, Bay-winged Cowbird, Giant Cowbird, Cocoi Heron, Sungrebe and Sunbittern together will all five species of South American kingfishers, Ringed, Amazon, Green, Green and Rufous and the Pygmy. After lunch we will check out of our accommodation and begin our drive towards Porto Jofre and the end of the Transpantaneira dirt road. We will then check in to our accommodation at the Porto Jofre Hotel for the next 3 nights. If time allows we will go spotlighting for nocturnal wildlife. 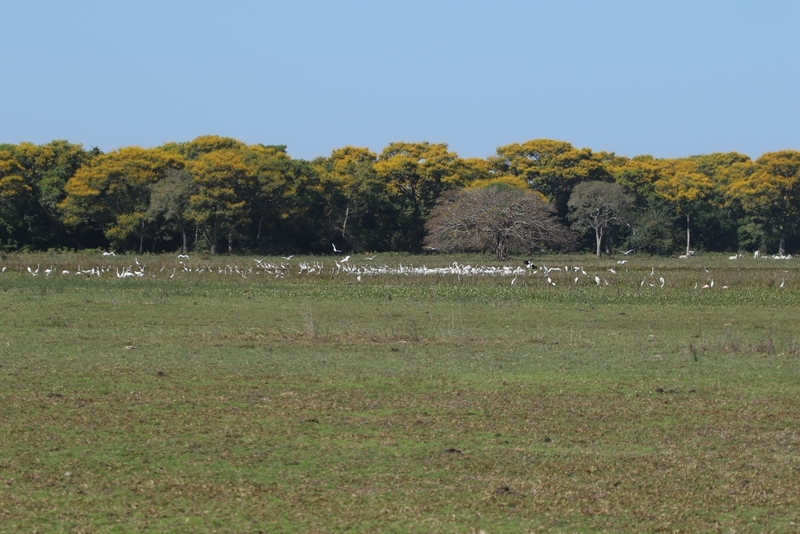 We will spend two full days exploring the Pantanal by boat. After our breakfasts we will take boat rides both up and down stream searching for Jaguar and other mammals such as Giant River Otters, Capybaras and the rare Tapir. Some of the target birds for this area include Black Skimmer, Yellow Tern, Large-billed Tern, Pied Plover, Collared Plover, Crested Oropendola, Yellow-rumped Cacique, Black-collared Hawk, White-wedged Piculet, Black-fronted Nunbird, Bare-faced Curassow, Rusty-backed Spinetail, and at the end of the day we hope to see Band-tailed Nighthawks flying above the water. After breakfast we will check out of our accommodation, transferring back along the Transpantaneira road with lunch en-route together with many stops along the way for further birding and photography. Target birds for today include Band-tailed Antbird, Pale-legged Hornero, Rusty-backed Spinetail, Lesser Kiskadee, Southern Beardless Tyrannulet, Green-backed Becard, Golden-green Woodpecker, Plain Antvireo, Rufous-browed Peppershrike, Ashy-headed Greenlet, Helmeted Manakin, Rufous-tailed Jacamar, White-lored Spinetail, Cinereous-breasted Spinetail, Red-billed Scythebill, Flavescent Warbler, Moustached Wren, Buff-bellied Wren, Purplish Jay, Orange-backed Oriole (Troupial), Crested Oropendola, Solitary Black-Cacique, Blue-crowned Trogon, Black-fronted Nunbird, Silver-beaked Tanager, Rusty-collared Seedeater, White-bellied Seedeater and Chestnut-bellied Seed-Finch. We will check into another lodge, dinner and overnight. We shall have some early morning birding around the lodge before our departure back to Cuiaba and then head in a north-easterly direction for a further 70 km and onto our next destination, the impressive Chapada dos Guimaraes National Park. Upon arrival we will hopefully have time to look for Blue-winged Macaw, Red and Green Macaw, Curl-crested Jay, Gray Monjita, Crested Black-Tyrant and Swallow Flycatcher amongst others. After another early breakfast we shall watch the sunrise and start our days birding! The main targets for the day will include Rufous-sided Pygmy-Tyrant, Small-billed Tinamou, White-eared Puffbird, Collared Crescentchest, Horned Sungem, Yellow-billed Blue Finch, Rufous-winged Antshrike, Black-faced Tanager, Red-legged Seriema, White-rumped Tanager, White-banded Tanager, Coal-crested Finch, Plumbeous Seedeater and Black-throated Saltator. We will have lunch and take a small break at our hotel before heading out again where we will be birding at the amazing Bridal’s Veil Waterfall area which is a roost site for the Blue-winged Macaw, also chances of Yellow-ridged Toucan, Chestnut-eared Aracari and White-collared and Biscutate swifts. We will return to our hotel at the end of the day, have dinner and overnight. We will have some birding in the morning with our targets being Band-tailed Manakin, Fire-crowned Manakin, Southern Antpipit, we may also check a historical nesting site for the Ornate Hawk-Eagle. We then return to our hotel, check out and head back to Cuiaba Airport. Please note that the order of the itinerary may change due to availability of accommodation.